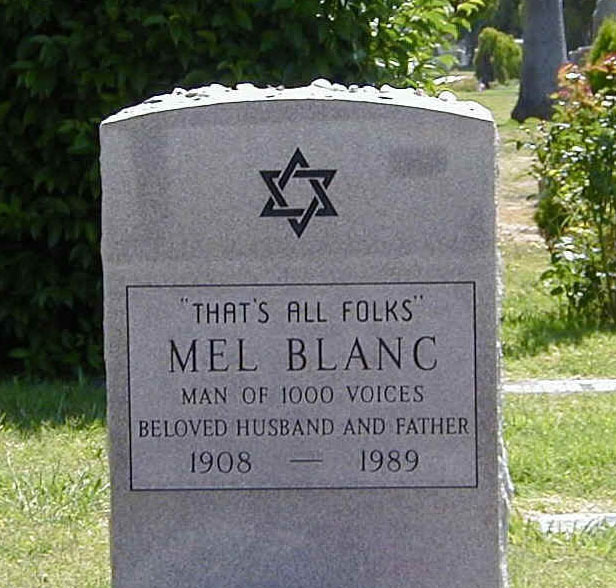 He was widely recognized for his voices for every major Warner Bros. character such as Bugs Bunny, Porky Pig, Yosemite Sam, Taz, Sylvester, Road Runner, Speedy Gonzalos and Tweety & Sylvester. He also was the voice behind Mr Cosmo G. Spacely from the Jetsons. Blanc also did radio. He starred on the Jack Benny radio and television programs as the Professor LeBlanc, Maxwell and Carmichael the Polar Bear. Blanc created the Woody Woodpecker laugh. He did the voice of Woody Woodpecker until he signed an exclusive contract with WB in the 1940s.